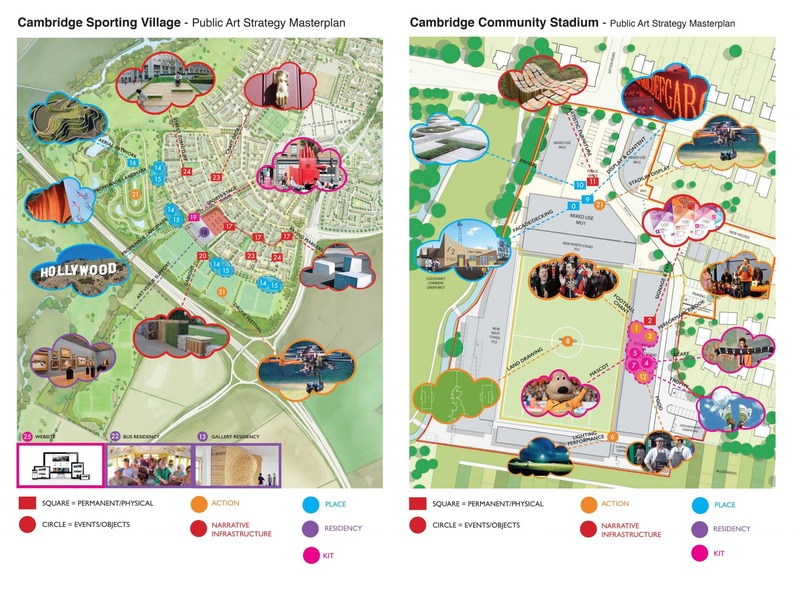 Community Stadium Cultural / Public Art Strategy produced to accompany developer Grosvenor’s planning application for twin interlinked sites across 43 hectares of the city and encompassing a variety of permanent and temporary artworks, inspirational activities and artist residencies phased to be implemented over an 8 yr period. 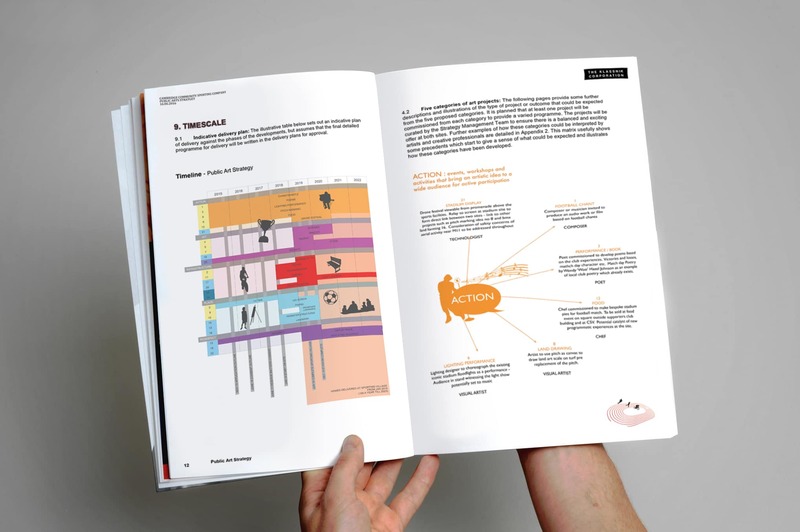 Consciously including disciplines beyond the visual arts, the programme highlights alternative cultural forms of production including craftsmen, chefs, technologists, composers, poets and lighting designers alongside more familiar fine art roles. 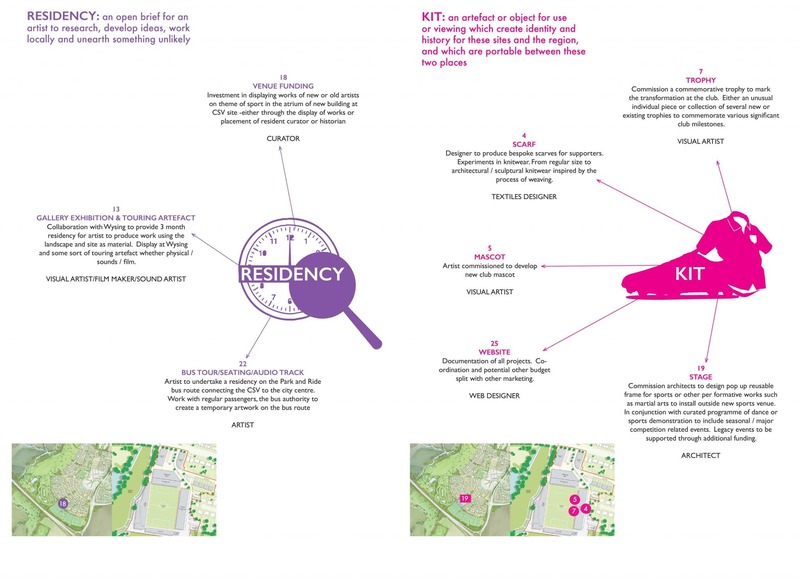 Identifying where in the development process opportunities might exist to utilise each of their talents, through site specific interventions. 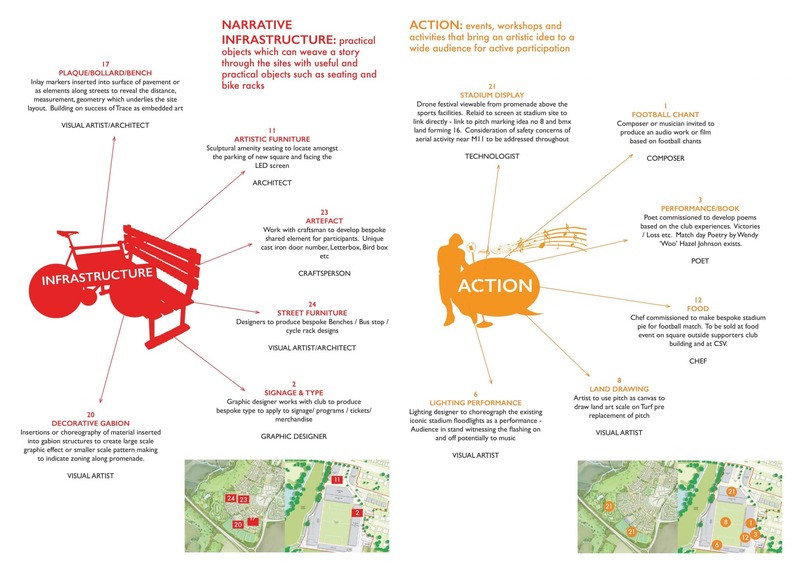 The cultural projects falling into five broad categories identified as: Place, Narrative Infrastructure, Action, Residency and Kit. Ensuring community participation is an intrinsic element woven into all the projects as part of the creative process and not a separate exercise is a core part of the strategy. With the aim of building awareness, understanding and community ownership in both developments. The Strategy includes delivery planning, management structure templates, commissioning process/artist selection, development of individual artist briefs, communication and marketing advice, maintenance planning, decommissiong procedures, documentation methods and evaluation advice.